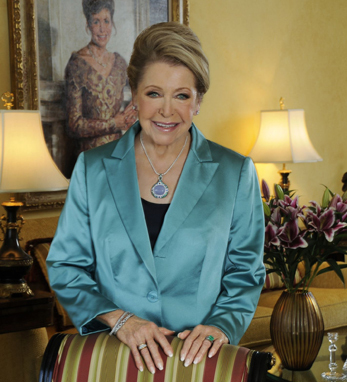 Known as the “Queen of Suspense,” Mary Higgins Clark is one of America’s premier “who-done-it” writers. Her books are worldwide best-sellers. Several of her novels have been made into television dramas and two, Where Are the Children? and A Stranger is Watching, have been made into major movies. Her $64 million five-book deal with Simon and Schuster in 2000 made publishing history, but as one book after another surpasses the million mark sales, the arrangement looks like a bargain. Higgins Clark always wrote, but the untimely death of her husband, Warren, in 1964 made selling a necessity in order to support her five young children. Every morning she got up at five and wrote until seven, when she had to get the kids ready for school. Her first suspense novel, Where Are the Children? (1975) was a best-seller. That debut of her toe-curling and page-turning talent is now in its seventy-fifth printing. Her many honors include the 1997 Horatio Alger Award, being named a Dame of Malta, 13 honorary doctorates, and winning the Grand Prix de Literature of France. But for Mary, who is proud to call herself “an Irish storyteller from the Bronx,” perhaps the most meaningful of the honors she received was being named Grand Marshal of New York City’s St. Patrick’s Day Parade in 2011 – a doubly significant honor, as 2011 marked the parade’s 250th anniversary. Higgins Clark’s father was an Irish emigrant from County Roscommon and her mother was first-generation American. She considers her Irish heritage an important influence on her writing. Her father, who owned Higgins Bar and Grille, a well-regarded pub and restaurant in the Bronx, died when Mary was a young girl. Mary recalled in a recent interview with Irish America magazine that her mother was left with “2,000 and three children,” and for a time had to take in boarders to keep the family afloat. Her mother encouraged Mary’s writing, and Mary was inspired by listening to the stories that her mother’s sisters and friends would tell, gathered in the kitchen of their home. “The Irish are, by nature, storytellers,” she says. Her daughter, Carol Higgins Clark, is also a mystery writer. A graduate of Fordham University, Mary Higgins Clark now resides in New Jersey with her husband, John Conheeney, a retired Merrill Lynch CEO.